The biggest challenge to today’s housing market is the shortage of housing inventory for sale. A normal market would see a six-month supply of homes for sale. Currently, that number is below four months. 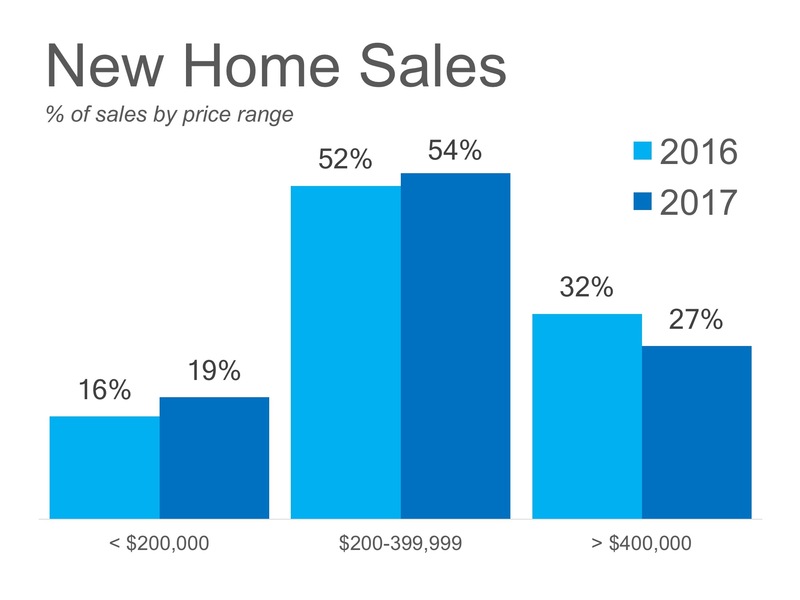 This is the major reason home prices have continued to appreciate at higher levels than historic averages. The good news is that builders are now starting to build more homes in lower price ranges. The Housing Market Index from the National Association of Home Builders (NAHB) reveals that builder confidence increased last month. HousingWire quoted NAHB Chief Economist Robert Dietz about the reason for the increase in confidence amongst builders. The graph below compares 2016 to 2017 new construction sales by price point. As we can see, builders are slowly beginning to shift to prices more favorable to the first-time and non-luxury buyer. There is a drastic need for a larger supply of home inventory to meet the skyrocketing demand. Builders are finally doing their part to help rectify this situation. Previous PostPrevious Selling Your Home? Is Your Listing ‘Pet-Friendly’?